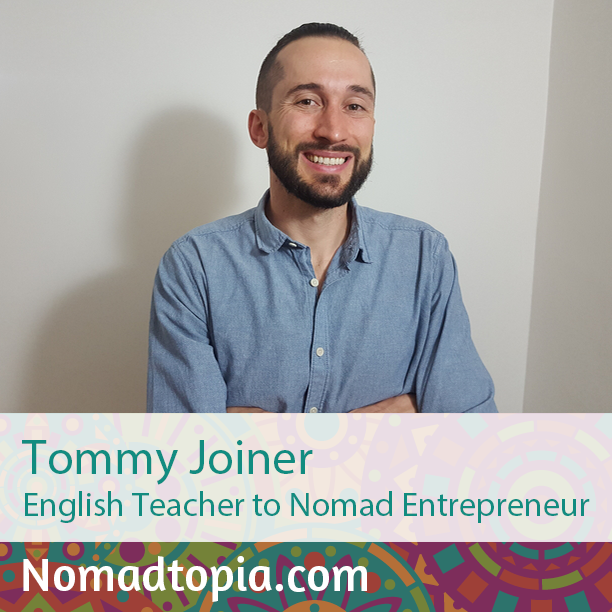 Tommy started his adventure abroad teaching English in South Korea. Eventually he landed in Medellin, Colombia, which is now his home base for further travels while he runs a content marketing agency and helps freelancers transition from side income to a full-time living. I started my business using Elance (now Upwork). I kind of fell into marketing by working on a side project in a cafe in Colombia. I never would have thought that a few years later, that moment would have changed my life as much as it has. Team building, managing people, dealing with bad clients, making lots of money, making little money… haha. It’s been quite a rollercoaster. Thanks to Greenback Expat Tax Services for supporting Nomadtopia Radio! Greenback has helped Amy save time and money on her taxes, and they may be able to help you too. Great article! Another country where you can make money teaching English is Spain. I took my course in http://tefl-madrid.com/ and I had a bunch of students right away. I’ve been living in Madrid for 3 years now!